Earlier today, the last results of ModDB's Mod of the Year and IndieDB's Indie of the Year awards for 2018 were released - to be exact, those in the Player's Choice - Best Released categories. In ModDB's Mod of the Year awards, the Contra mod for Zero Hour won 6th place, while honourable mentions went to Mental Omega, Twisted Insurrection, and Tiberium Essence. In IndieDB's Indie of the Year awards, no C&C-related project entered the top 10, while honourable mentions went to Red Alert: A Path Beyond, Renegade-X, and Tiberian Sun: Reborn. The results for Player's Choice - Best Upcoming Mods/Indies categories in ModDB's Mod of the Year and IndieDB's Indie of the Year awards are now out! The Command & Conquer modding community has once again made us proud by entering both listings. In ModDB's Mod of the Year 2018, the ambitious C&C Generals Revolution mod for Red Alert 3 won 4th place, while the long-awaited Tiberian Sun Rising mod for Tiberium Wars got an honourable mention. In IndieDB's Indie of the Year 2018, both of W3D Hub's upcoming standalone Renegade mods have earned an honourable mention - Red Alert 2: Apocalypse Rising and Battle for Dune: War of Assassins. Tomorrow, on 28 December, the results of last category will be revealed, the Player's Choice of Best Released Mods/Indies, so stay tuned for that! 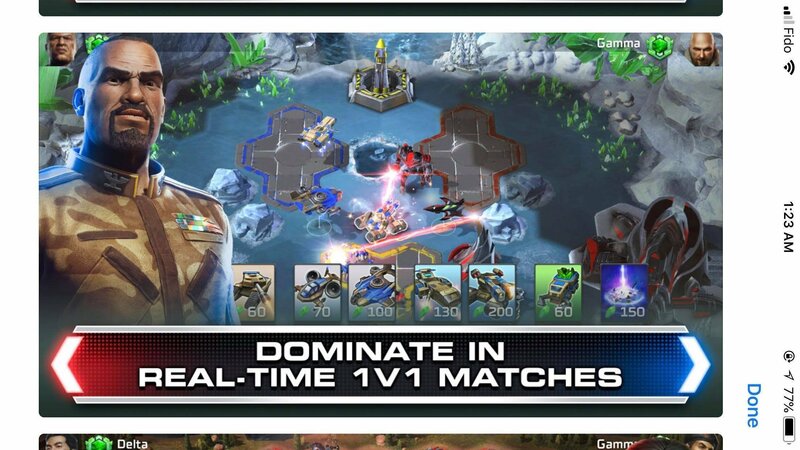 Despite controversy among the community, C&C Rivals continues development. Here's what's been happening on that front. EA has been releasing a series of Tips & Tricks videos on the game, titled "Commanders Training Videos" with the help of Rivals community members and players. 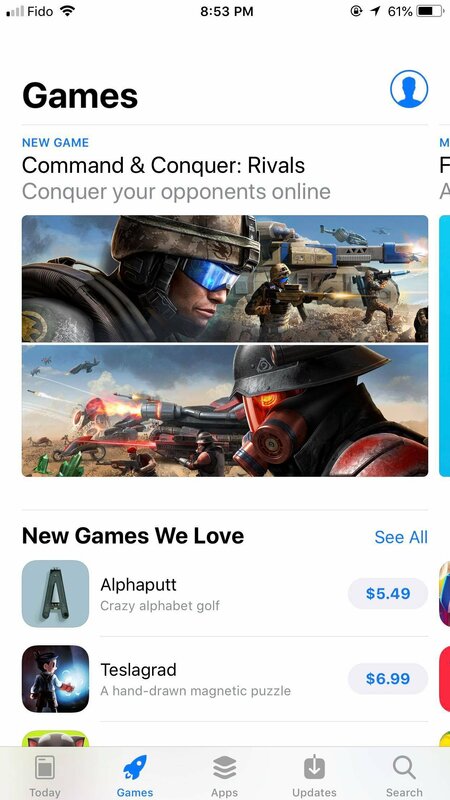 On the road to Worldwide Launch, Rivals has now become available in several countries, having been just released in Canada. It is also now available on both iOS (through the App Store) and Android platforms (Google Play). Player Profiles and Leagues have been introduced to the game. 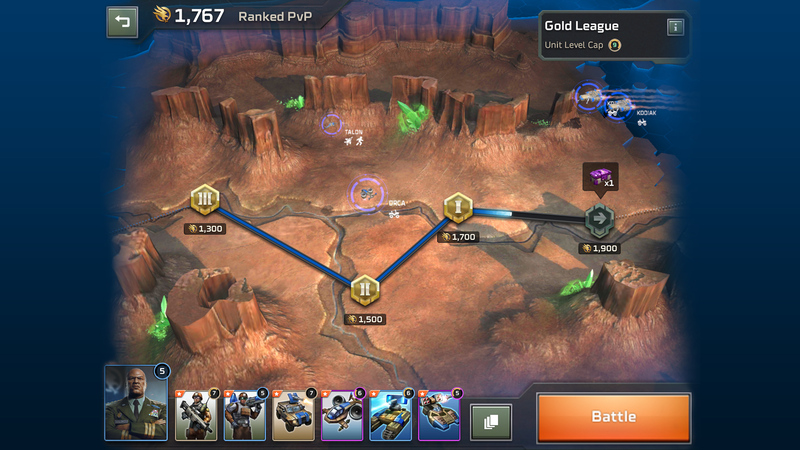 This includes a World Map showcasing player league progression. Bounties and Fuel, which constitute part of the game's free progression rewards, have received an upheaval. New Units (August): The Juggernaut (GDI) and Giga-Cannon (Nod) have been released. New Units (September): The A.P.C. (GDI) and Phantom (Nod) have been released . New Units (Early October): The Shockwave Trooper (GDI) and Tick Tank (Nod) have been released. New Units (Late October): The Drone Swarm (GDI) and Chem. Buggy (Nod) have been released. New Units (November): The War Dogs (GDI) and Widowmaker (Nod) have been released. A competitive mode, titled "Rivals Champions" has been announced. An official Worldwide Launch date was announced: December 4th, 2018. Update 1.1. was released in early October, bringing with it many balance, monetization & map changes, a slew of new units, as well as replacing Sectors with Leagues & Divisions and adding in the Rivals Fairplay mode. Update 1.2 has been released this week, adding in the War Dogs & Widowmaker units, the Rivals Champions mode, as well as bringing substantial changes to maps, player leveling & progression, unit unlocking, crates, economy & monetization. A Rivals Commander Training video has revealed a new GDI infantry unit, which appears to be some sort of "Machine Gun Team". 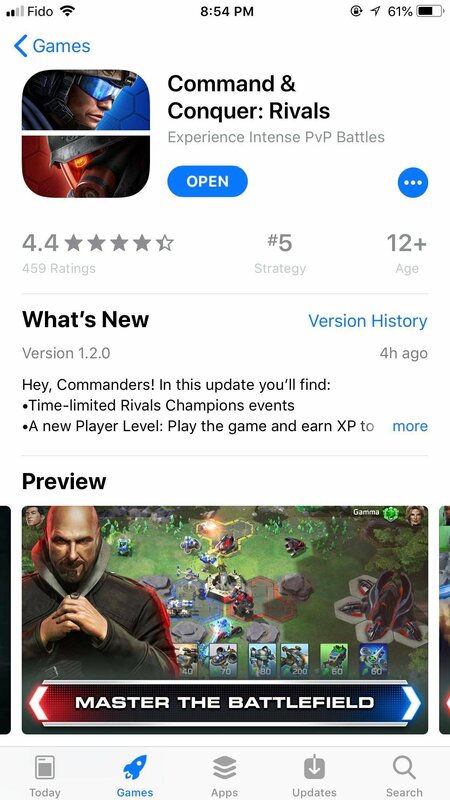 The Canadian iOS App Store page has brand new screenshots of the game, showcasing what is possibly the next two units to be released in the game: The Orca Bomber (GDI) and The Avatar (Nod). 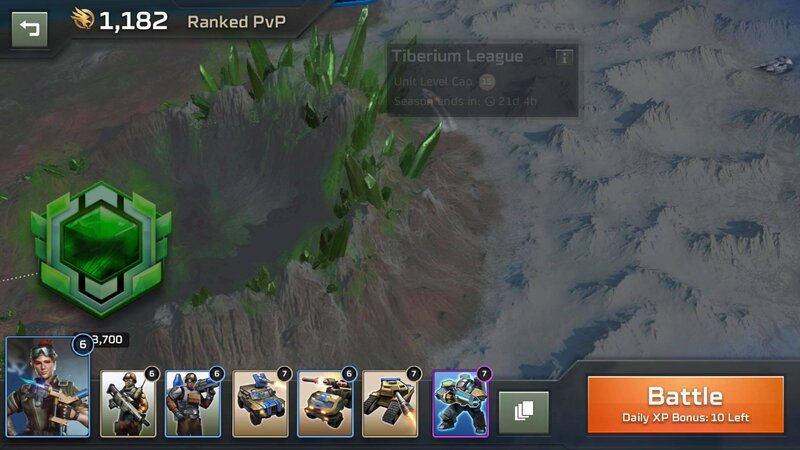 Update 1.2 has brought in a small, yet ominous easter egg on the World Map in the Tiberium League locale, in the form of the crashed Scrin Ship from Tiberian Sun. 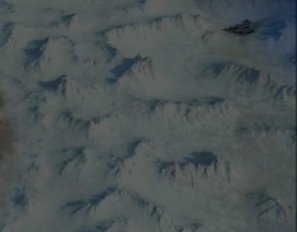 It is present on the top right, when scrolling off the map, seemingly encased in ice. That's all for now, Commanders. Red Alert: A Path Beyond has been updated to version 3.3.0.0 recently, which not only sports a new interface and a usual array of bug and balance fixes, but also new units (MiG, Cruiser), new models for others, and MSAA support. The PC Gamer article on the beloved Mental Omega APYR mod is now finally readable internationally online. Check it out here. Gamasutra announced that Westwood Studios co-founder and proclaimed Godfather of RTS Louis Castle will be holding an hour-long(!) post-mortem presentation on the original Command & Conquer at the GDC next March.